Some KOHLER® and STERLING® sliding shower doors include a panel guide that attaches to the inside door panel. The panel guide provides smooth, quiet sliding action of the shower door. 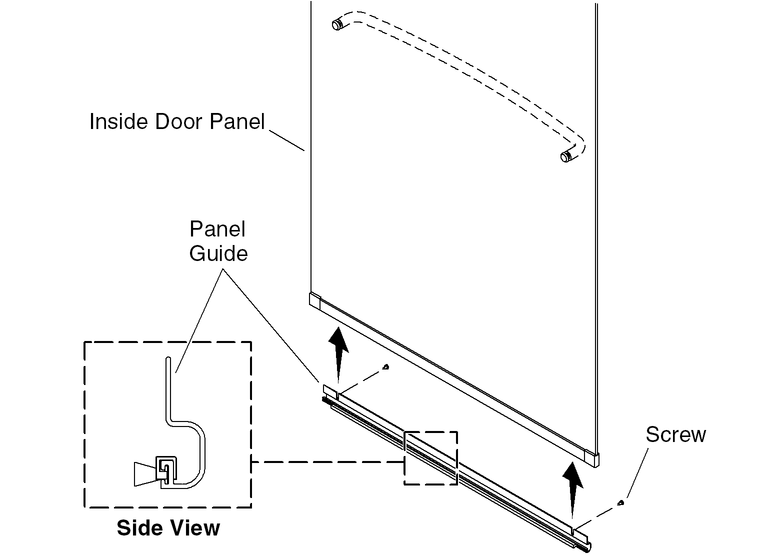 Installation of the panel guide varies depending on the product model. For detailed installation instructions, refer to the installation guide provided with your product.